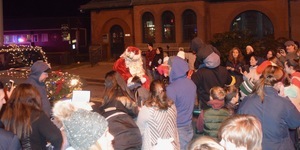 Santa stopped by Brewster this past Saturday, December 1, to help the residents kick off the holiday season. 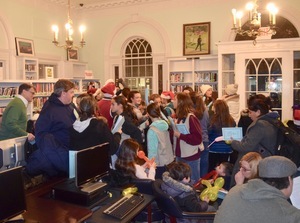 The festivities began at the Brewster Library where a family fun and magic show was held. Adults and children alike were treated to a magic show and balloon animal making demonstration. 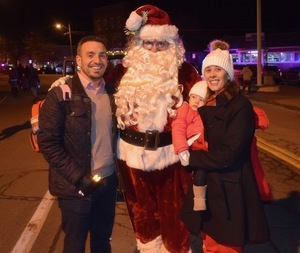 Over 50 adults and children attended this event which was held in conjunction with the Southeast Museum. 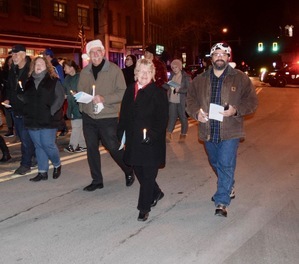 Afterwards all the attendees marched down Main Street and while doing so, singing Christmas carols led by Danbury's Mad Hatter Barbershop Chorus. 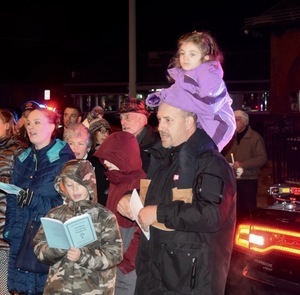 The group arrived in front of the Brewster Train Station where the caroling continued until Brewster Village Trustee Tom Boissannault threw the switch to light the Village Christmas tree. 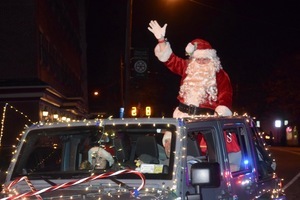 Santa then arrived via resident Joe Lambert's convertible all decked out in lights and blaring Christmas Music. 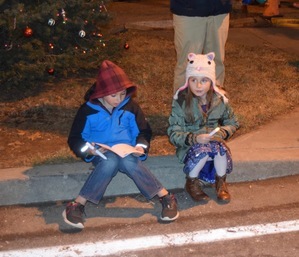 Santa handed candy cane treats out to all the children and even posed for pictures with all. 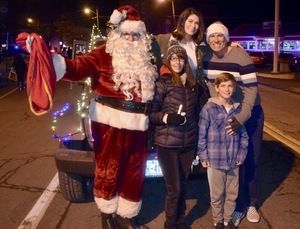 Santa and the crowd then retreated from the cold into Brewster Village Hall where all were treated to hot chocolate, cookies and caroling.